Although our company first started in 2013, our crew has more than 140 years of experience in the industry. 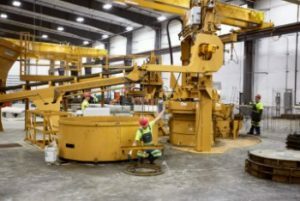 Columbia Precast Products has built, customized, delivered, and installed precast concrete throughout the state of Washington. What sets us apart from many precast concrete companies is our devotion to sustainable practices. The Pacific Northwest is home to beautiful natural resources, and we’re doing our part to make an environmentally friendly product. Columbia Precast Products strives to produce a clean product that is safe for people, animals, and the environment. To that end, we build all of our concrete in a controlled facility. This allows us to reclaim, recycle, and reuse waste process water and concrete. In addition to saving waste, our building allows us to maintain an environment that is conducive to creating concrete products. This gives us an advantage over pour-in-place companies that may have to wait on the weather to begin work. We’re able to perform strength tests to ensure quality before the product even leaves the building. Being able to deliver a finished product as soon as the excavation phase is complete is an incredible time saver. No waiting for forms to be built, no waiting for strength testing, and no waiting for the weather. In addition to high-demand products such as vaults, culverts, and manholes, Columbia Precast Products can also manufacture customizable pieces. For example, Washington is bordered to the south by the Columbia River, the Puget Sound dominates the northwest, and lakes are scattered throughout the state. We’ve manufactured boat ramps, built to state specifications, to help people get out and enjoy the water. We’ve also completed railroad crossings, panel vaults, and many other projects. If you need a precast concrete solution, we’ll make it to your exact specifications. 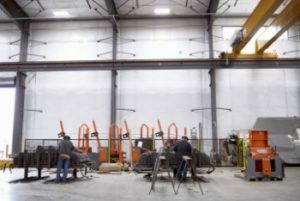 Even though our company is young, we’ve hired experienced people from the precast industry throughout the Pacific Northwest. When you call Columbia Precast Products, you’ll be speaking someone who is friendly, knowledgeable, and ready to help. If you’re in need of a concrete structure, contact us today. Not only will our products stand the test of time, but our precast pieces will also allow you to finish the job faster. We look forward to hearing from you!